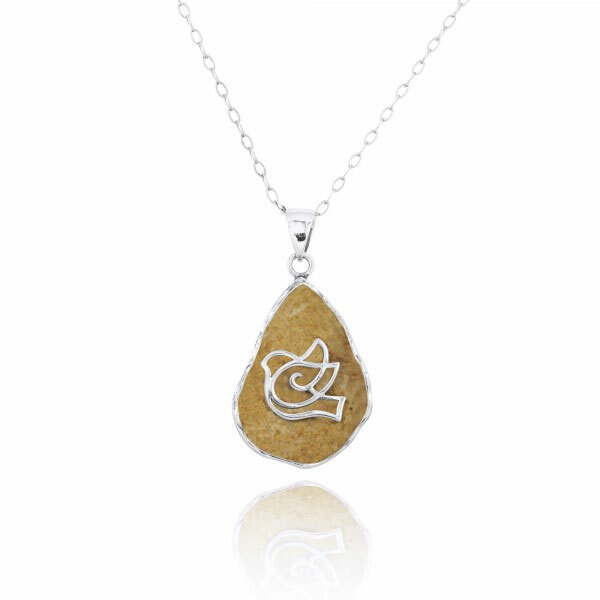 One of our most beautiful and amazing jewelry pices, the Jerusalem Stone necklace with Holy Spirit Dove is crafted in pure .925 sterling silver and available from Apples of Gold Jewelry. The Jerusalem stone measures 27.4mm x 19.5mm (1 1/16" tall x 3/4" wide). The center dove emblem is made with pure .925 sterling silver and the pendant weighs approx. 6.22 grams. Sterling silver chain is optional in either 18" or 20" length. "Now the God of hope fill you with all joy and peace in believing, that ye may abound in hope, through the power of the Holy Ghost" (Romans 15:13). We guarantee our Jerusalem Stone Necklace with Holy Spirit Dove to be high quality, authentic jewelry, as described above. 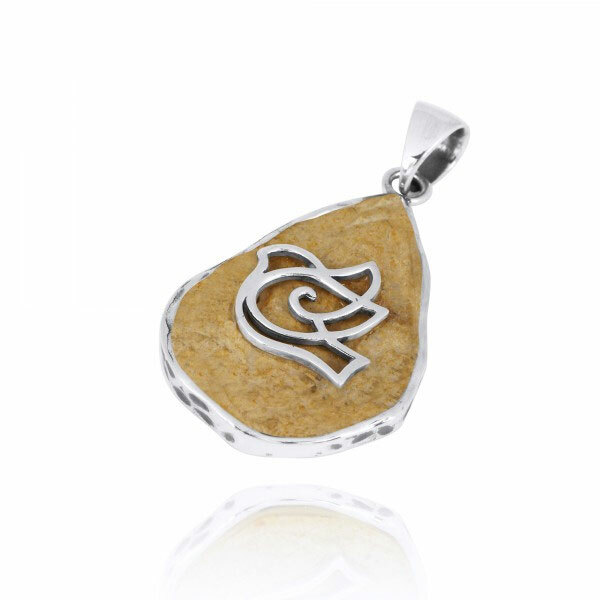 Jerusalem Stone Pendant with Verse "May God Bless You And Protect You"